Boston Cream Eclair Cake: this showstopper homemade eclair cake is filled with custard cream and piped with a decadent chocolate ganache frosting! Make this dessert in three easy steps. Nothing’s more important than dessert. And CHOCOLATE! I’m all about the chocolate. 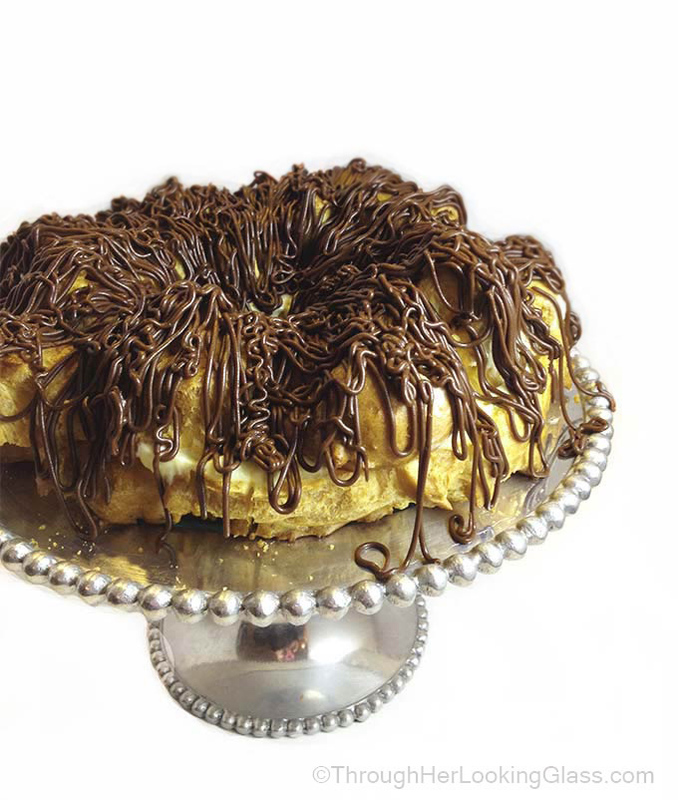 So here’s a decadent recipe: Boston Cream Eclair Cake. It looks grand, but trust me, you can easily make this too. 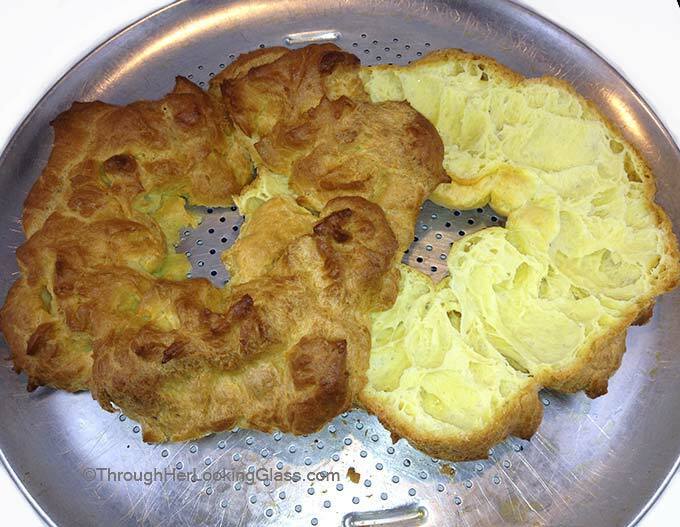 This simple recipe was given to me by dear Italian friends in Rhode Island many years ago. It’s a crowd pleaser, gorgeous and delicious. There are three simple parts to the Boston Cream Éclair Cake: the éclair pastry crust, the cream filling and the rich chocolate frosting. You can make this dessert all at once or in stages. Your pastry dough is ready when it looks like this, smooth without lumps. Dollop the dough by large spoonfuls onto a greased round pizza pan, into a ring. Cool on a wire rack, then split horizontally with an electric or serrated bread knife. I often make the éclair pastry crust ahead, then freeze. A day or two before serving, make the custard filling and chocolate frosting. On serving day put it all together and pipe the chocolate frosting on the Boston Cream Éclair Cake in about 15 minutes. It’s such an amazing dessert. It gives me great joy to deliver “pastry happiness” to friends and family. Here’s a big tip, and once in a while I forget to do it myself. After filling the cake and before piping the chocolate, carefully cut the Boston Cream Éclair Cake into serving slices with an electric knife (or serrated bread knife.) THEN pipe the chocolate on top. It’s so much easier to keep the cake pieces intact for easy and beautiful serving. 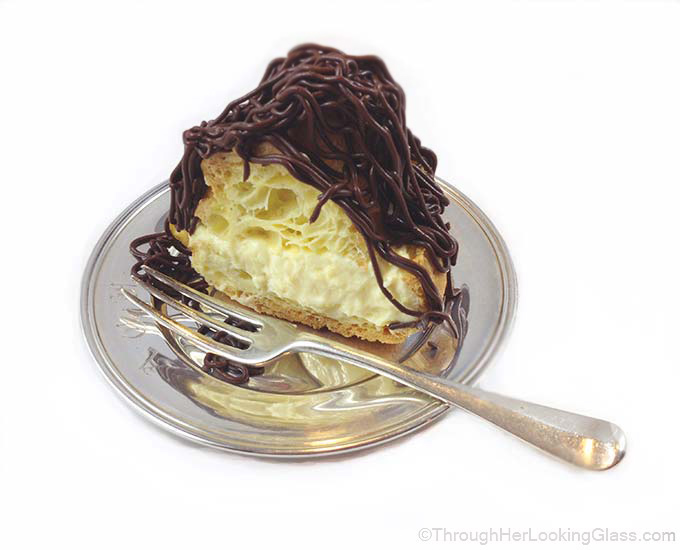 Let me know if you make the Boston Cream Eclair Cake, I’d love to hear how you like it! It doesn't get any better than this. Serve this eclair pastry and you instantly rise to superhero status. Never met anyone who didn't adore the Boston Cream Éclair Cake! Stir in 1 cup flour until throughly compbined and cook until ball forms and it pulls away from the sides. Drop by spoonfuls into a ring on a lightly grease cookie sheet or round pizza pan. Bake at 400 degrees for 40-45 minutes or until the middle is dry. Sometimes it takes as long as 55 minutes, so watch very carefully towards the end. Check with a cake tester to make sure it's dry inside. Cut in half horizontally with a serrated or electric knife. Cover the bottom half with filling, put the top half back on. Using an electric mixer or whisk, mix the instant vanilla pudding with milk for two minutes. Gently fold in the Cool Whip and vanilla with a rubber spatula. Add in butter 'til it melts. Stir in milk 'til combined. Pack frosting in a pastry bag and pipe with a decorating tip (or use a ziploc bag with snipped corner), going around the entire cake. Refrigerate for a short time 'til chocolate sets, cover in plastic wrap, then return to refrigerator. Make all at once, or in stages and construct it the morning you serve. Use a pastry bag and decorating tip to pipe your chocolate icing, or snip a hole in the corner of a ziploc bag. There will be lots of extra filling. Save it for another use or get out your spoon for a treat. Hmmm... Why have you never served it to us then??? New staple to add to the coffee cake. And my first thought was, "I want THAT for breakfast..."
Can't wait to try this! I think I will make it for Thanksgiving. Looks delicious! Coming from you there is no doubt in my mind that it will be scrumptious! Thanks Allie!! I love the "crazy hair" on top. I am not a good cake piper so this looks do-able to me, not to mention drop dead delicious! Holy guacamole this looks fabulous! I love the combo and cannot wait to give this a try! This is crazy - and ENTIRELY GENIUS! It looks fantastic. This is like my favorite donut turned into a cake, love it! My brother would love this one :) Saving it. Thanks! Allie - can I come to Thanksgiving at your house?! This looks delicious! This is a show stopper Allie! 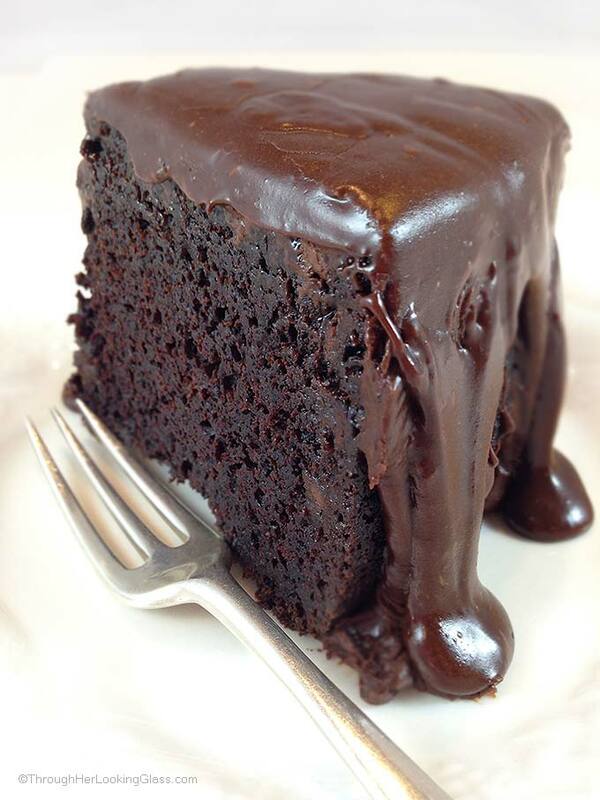 It looks superb and deliciously tempting! Definitely adding on my must-try list! What a fabulous variation on Boston Cream Pie. My husband adores eclairs - I'll bet he could eat this entire cake himself. Awesome idea. Easy to follow recipe Love it thank you. Instead of packaged pudding mix, i made my own and added some custard powder also. Hi Sarah, this sounds wonderful. I've thought many times about creating a homemade custard for this recipe. You beat me to it!!! So glad you enjoyed, thanks for dropping by! Oh Allie, this is stunning!! I love it! Wow, this eclair cake is gorgeous! I have a friend who adores Boston cream pie and I'll bet he'd go crazy for this. Will have to try it for his next birthday. Hi! I guess I mean what brand is that metal with the holes. Made this on my stone pan and cooked it the full 55 minutes and it was still not dried out but the outside was very brown. Thought maybe the stone had something to do with that. For some reason my dough was thinner than yours too so I didn't get any rise at all. So next time I tried adding a little more flour. Still pretty flat. If I mixed it longer would it thicken up more? Just trying to figure out how to do better next time. :). Thanks Allie!! Hey Toni, I'm bummed yours didn't come out perfectly. I'm trying to figure out why your dough would be thinner. 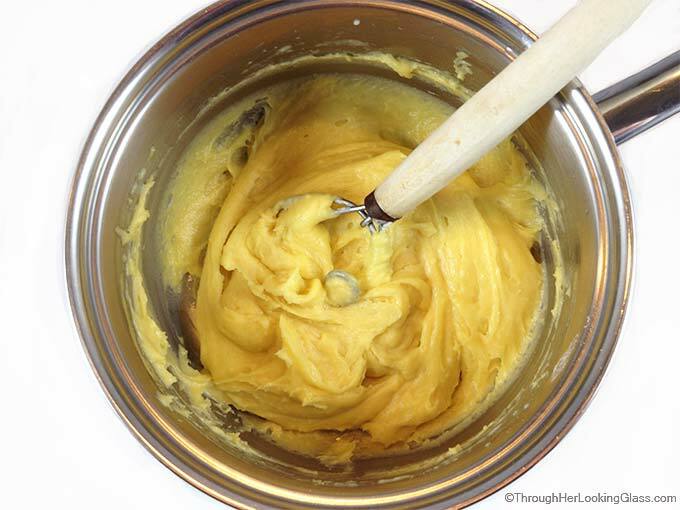 Are you using 1/2 cup butter, 1 cup water, 1 cup flour, then stirring in the 4 eggs one at a time? The recipe actually says 1 stick butter and I wonder if you could have used 1 cup instead? That would be easy to do. In fact, I just changed it from saying "1 stick of butter " to say 1/2 cup butter, because I see it could be confusing. It is the eggs that make this dough rise. I'm really wondering if it might be the butter, because my dough is always very thick. You are boiling the water and butter together first, then stirring in the flour, then eggs one a time? The pan is by Wearever, and I think I got it at Bed Bath & Beyond, but it was years ago now. So let me know if you think it might be the butter. I've just never had a rise problem, not once, so I'm thinking something is funky with the amounts of the ingredients. I've also not cooked it on a stone, but I don't think that's it. This dough is also the base of the lemon cream puffs on the blog, and I've had no problem with them rising either. I don't mix these extra long, FYI. I just incorporate each egg into the dough by hand, one by one, and then I stop. I sure hope we can figure this out! In a large heavy saucepan, heat butter and water to boiling over medium-high heat. Add flour and reduce heat to low. Cook and stir until it forms a ball and pulls away from the pan. Remove from heat and transfer to a large bowl. Beat in eggs, one at a time, beating well after each egg. This is the difference in the dough.... these directions need to be changed. Thanks! Yes, just did the one stick of butter boiled it together with the water, then mixed in the flour then eggs one at a time. I tend to be domestically challenged so it is probably something I'm doing wrong. ;). Actually lit my burner on fire when the butter/water mixture boiled over while I was making my second batch asking you about the pan. Set the fire alarms off this morning!! :). Thanks for the input! Oh. That is what I did. I removed from the heat and put in a regular bowl. My cake was so thin that you couldn't even cut it in half. Going to try again when I get home. Thank you thank you thank you. Hey Kathleen - Dying to know - did it work for you on the second try? Oh I hope so! This looks Delicious , will try making that for my ladies Bible study they will love it. Hi there. I also ended up with a thin runny batter. I boiled the water and butter and added the flour and eggs in the same pan. It was also very lumpy,not a smooth texture look as your photo. I did bake it and it looked like a giant flat donut. I will try the recipe again due to the many positive posts. Hi Marlene - so sorry to hear this. My sister-in-law brought this dessert for Easter yesterday. We were chatting about this very issue, as several people have commented here about it. 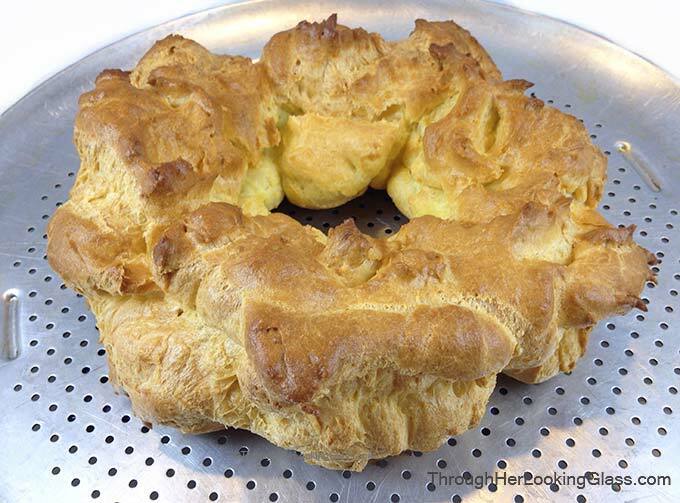 We've both been making this recipe for 25 years and never had an issue with a runny batter, so we are mystified. I boil the 1/2 cup butter and 1 cup water together. Then I stir in the 1 cup flour until it is as smooth as possible. It immediately forms a very thick dough, then I remove from the heat, but keep it in the saucepan. It's still very hot. To that very thick hot dough, I add one egg at a time, stirring very thoroughly after each egg is added until it is thoroughly incorporated before I add the next one. I have used a wooden spoon to do all the stirring in the past, but I've had the best success with a very a smooth dough using a King Arthur Bread "dough whisk" found here: http://www.kingarthurflour.com/shop/items/dough-whisk-11-long I wish you all the best and if i can figure out what the issue is, I will certainly comment back and let you know. Thank you so much for dropping by. Somehow your question slipped by me - I'm sorry to just be getting back to you now Lori. I'm thinking if you covered it well, and then slightly warmed it - and whisked it up with a little hand whisk -- you might be just fine. I've never made the ganache the night before, I often make the pastry or the filling the night before but I haven't tried doing that with the ganache. Chocolate is funny, sometimes it seizes up, and I haven't experimented with this one to know. I'm thinking if you slightly warm it - it should be ok.
Hi all. I have my dough in the oven as I post this. I followed it step by step to avoid it cooking flat. Fingers crossed!!!!!! Awesome. It rose as it was suppose to and and I just had a bite. Delicious!! Thanks for the easy recipe. 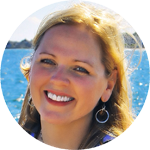 Hi Zoë - so glad to hear, thank you! You made my day. Enjoy. This is one of the favorite desserts at our house! Hi Comfy - the eclair should not be doughy in the middle. But it will definitely still be soft inside. You want the outside to be a dark golden brown color - you may even think it is starting to look overdone. But that is ok if it is a deep golden brown on the outside. Sometimes it takes mine as long as 55 minutes to cook. You might have to experiment a little! Hope you can get it just perfect! Thanks so much for dropping by. i like Boston Eclair cake it's home made wow. could you send me the Recipes of this please. can you make one recipe on vanilla CAKE. Wow Boston Home make cake, I am mad about the food. and cake is my weakness thanks for sharing this. There has rarely been a dessert more perfectly designed for both myself and my mom. This may be one of the very rare and few things in the world I'll break my gluten free diet restriction to enjoy. I try SO hard, so very hard to be good what I have for my health but I am almost positive I couldn't resist this. I ADORE both Boston Cream Pie AND an Eclair with pastry custard or pastry cream. Put the two together and I'm just left speechless. I do have one question however, I KNOW it makes one cake, what I need to know for the yield is how many servings should this beautiful indulgence give me? Hi Pamela - I do think this one is worth the indulgence if you're going to cheat. It's not heavy, and that's what I love about it. It tastes light and airy and I love the piped on chocolate frosting...just right. It reminds me of childhood eclairs at Greg's in RI. The eclairs were in that mesmerizing, spinning glass case. Maybe I already said that in the post, I wrote it some time ago. So I think this will give you a generous 8 servings, maybe more if you slice skinnier. Or less if you're having it as a main course for dinner. LOL! I hope you make it and that you and your mom thoroughly enjoy every delicious bite! Happy New Year! And P.S. I use a serated electric knife to slice this, so it doesn't squish and you get the pretty presentation. Best wishes! I also made this twice and the dough was very runny. It also came out a lot heavier than I expected. Hi Tara - have had a few mentions of this, I'm sorry to hear it and it may be because my directions were unclear. My sincere apologies. I have gone into the recipe and clarified a step or two after receiving your comment. So add the flour to the boiling water and butter and stir until throughly combined. It will make a thick dough. Cook on the stovetop, stirring all the while until it is a ball, pulling away from the sides of the pan. (It will be a very short time.) 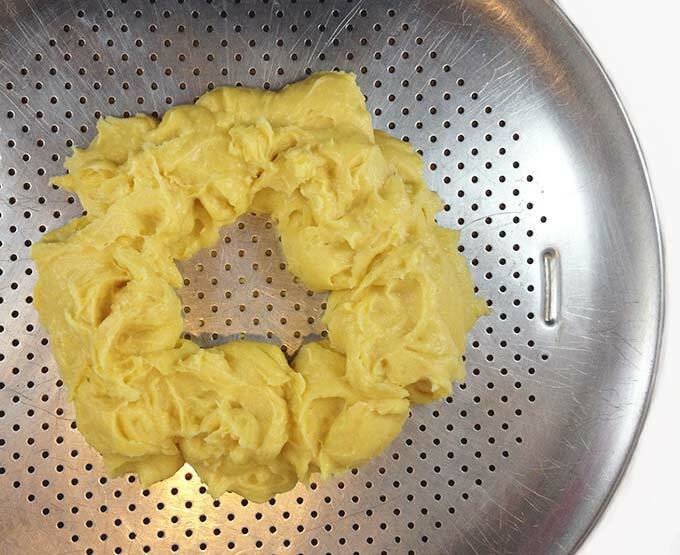 Remove the dough from the heat, then add in your eggs, one at a time, stirring in by hand after each addition. The rest of the recipe stands. I hope this is a help. A good friend of mine gave me this recipe 44 years ago at a couples dinner. Everyone Loves the rich, Eclair taste. I still make it and pipe whipped cream “dollops” around the top, put a cherry in the middle of each dollop and sprinkle with chopped walnuts! It’s a HIT! I still make it to this day for New Years and/or Easter! Thanks Cathryn, what a beautiful way to garnish it! Will def. have to try. I like how this dessert is so pretty but isn't heavy -- the pastry is light and airy. Just love it. So glad you dropped by! Can you bake this in a tube pan? Hi millie - I don't know, I never have. I don't think you would want to though. You need a flat surface to bake this. I would use either a round pizza pan or even a flat cookie sheet. Happy baking!